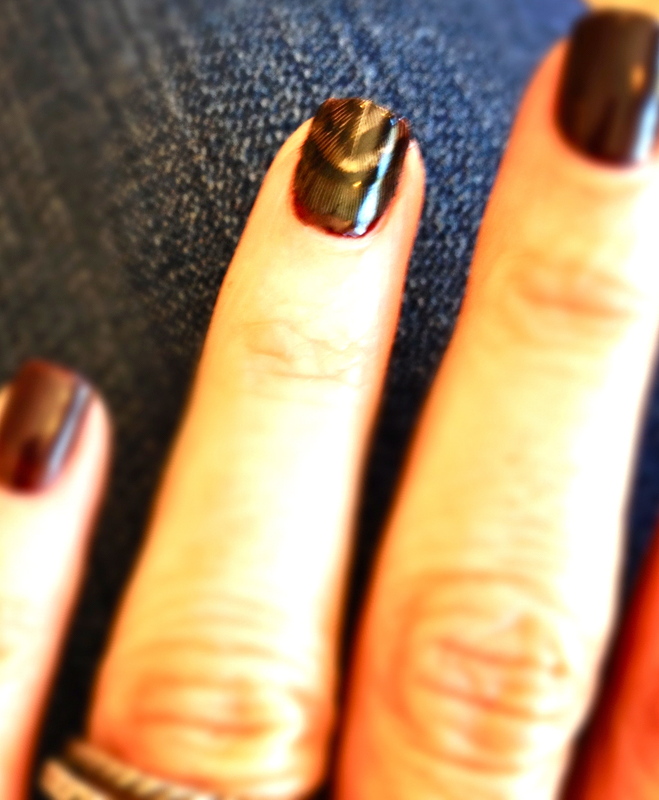 Joliene my FAVE nail specialist ( so much more than a manicurist) gets creative.. one of the many reasons I LOVE her. She added a feather accent nail to my bi-monthly manicure. After nails are dry but a little sticky.. she adds a feather ( she gets them at the craft store Im told) and then cuts and shapes to the nail .. then adds a top coat to seal it in. Next visit Im getting glitter toes.. woohoo. Gallery | This entry was posted in beauty products to love, style and fashion finds to love and tagged confidence, creative nail design, manicure, motivation, the happy health counselor, vanitysanityandhealth.com. Bookmark the permalink.